Tony Labrusca and Mark Oblea sings ‘You’ll Be Safe Here’ on Pinoy Boyband Superstar Top 8 Live Shows, Saturday, December 3, 2016. “They are equal. Both deserved to be in the grand finals. 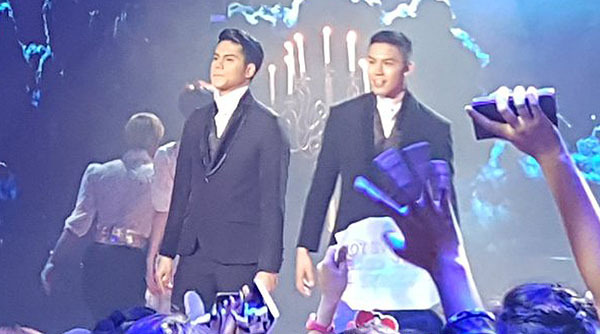 Both got 50% talent and 50% looks,” said Vice Ganda. Vice picks Mark Oblea to advance to the Grand Finals. Tony Labrusca will perform tomorrow for the elimination.